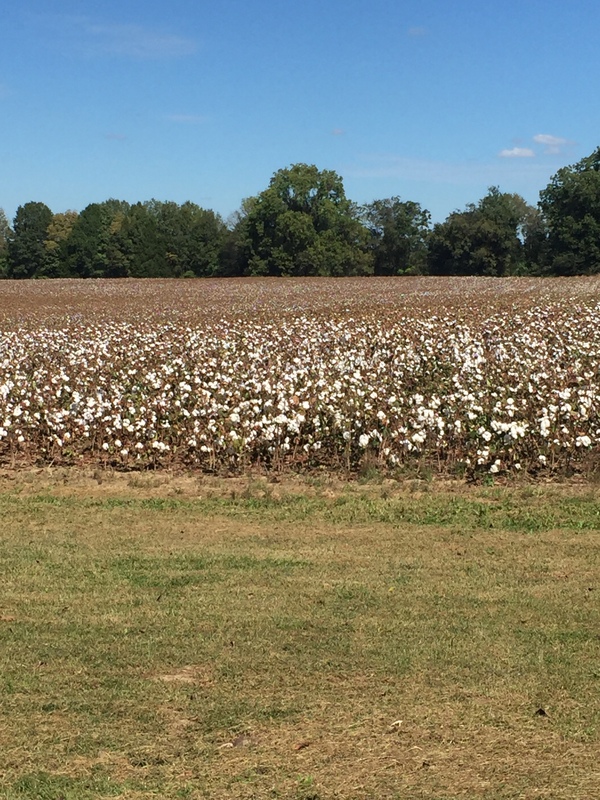 West Tennessee Cotton–wow I have missed this! testimony. For those of you who are ready to move forward beyond the pain, stay with me. When God called me to write Broken in the middle of Snowmageddan 2015, He was faithful in telling me each chapter, all verses, …everything. I didn’t write this bible study: God did. So don’t hate the messenger. God was quick to point out to me a few points. Read Chapter 2 of Broken to flesh this out completely. God calls us to repentance in order to have life forever but also to have life in abundance here on earth. Regardless of what you have been through, God is the master Healer. Step one though might be repentance. This might take different forms. It may be that your struggles are messes of your own making. Mine have been many times. You cannot heal from the past until you are willing to repent of your part in this mess. What about those of us and the times when tragic events happen and we are not at fault? If you read Broken or many of my stories on my blog, you will totally understand that I have been there. God has called me to repentance. I have spent too long dwelling on what has happened, blaming God, being mad at God and having victim mentality. “Why me?” is an easy question to get stuck on, but God hasn’t called us to stay stuck. He has called us to look up, move forward, and to do ministry. It’s not about us; there is a lost world around us that needs to see how God can do miracles in the craziness of all situations. “Time to get busy and quit whining” is what God has made clear to me. I told you that you might want to not read this. So, chapter 2 is about letting God clean us up, helping us to set our eyes on Jesus. God didn’t call us to do easy things. None of the things in life that are truly amazing are easy. After Emily’s amazing testimony, I am copy and pasting the worksheets for Broken Chapter 2 Repentance. *Someone let me know if this doesn’t work! I think these verses sum up a lot when it comes to our mindset as believers. Join us at Little Flock Baptist Church on Wednesday night for the rest of the book or let me know if I can send you a copy. Check out my web page for my info on Broken. It is kathymcbroom.com. How does a child act—especially a two year old? Know that as a Christian, the enemy loves defeated Christians. They are useless to the kingdom. “When I was a child, I talked like a child. I thought like a child, I reasoned like a child. When I became a man (or a woman), I put childish ways behind me. We want to blame somebody, anybody for this because I believe it offers temporary relief. For a moment we feel better. But we cannot go for temporary relief when God offers so much more. We cannot heal until we repent. 3 when his lamp shone on my head and by his light I walked through darkness! Let’s look at the verses listed in Day Two. Alexander Maclaren states that repentance and faith ought never to be separated. True repentance is impossible without faith; true faith cannot exist without repentance. I know that I must trust God if I truly repent because repentance requires a sorrow for sin and a turning away from it. Repentance is hard. It means I must admit I am wrong. I don’t care for that. As a believer, repentance leads to life. I cannot become a follower of Christ unless I acknowledge I am a sinner and that I need saving, and repent of my sin. There are no part time followers of Christ; therefore, I must daily commit to follow His ways at all times, in all things. Today, pray about an area of your life that needs repentance. Forget about your situation which may be a result of nothing that you did. Give God time to reveal areas that need cleansing. Pray and ask the Holy Spirit to convict you. Is there any part of this issue that you are blaming someone else for when you know that you must admit your part in it? Do you secretly enjoy the attention that this issue brings to you? Maybe people tell you that they admire your courage in this situation and you like that. Are you scared to admit you were wrong? Why? Are there parts of this story that you have allowed people to believe that are truly an exaggeration or are not the entire truth? Are you willing to come clean? These are all connected to pride and we are getting to that. Are you ready to repent? Are you willing to ask for help? Are you willing to seek professional help through your church or other trusted Christians? Are you willing to forgive someone who is not asking for forgiveness thereby letting go of a grudge, bitterness or a sense of justice? Will you be ok stepping down out of the judgement seat and letting God be the rightful judge? God wants to make beauty from ashes. Is there any part of you that enjoys a martyrdom status? Many have told you how brave you have been…and you have embraced this. Is this becoming a point that is stopping you from moving on? Do you dwell on your situation, almost refusing to release it? Has this situation consumed your thought life? Do you continue to blame God or are angry at God without praying and telling Him how you feel in order to move forward? Do you feel guilty if you start to live past this event? Do you feel you must “never forget”, but in that, you are not moving on? Do you get angry with others that have moved on, realizing that they cannot relive this pain each day? Have you refused to get professional help even when trusted loved ones have advised you to do so? Is there any part of you that blames yourself for this tragedy? Is that warranted? This is a trap of the enemy. Are you willing to trust the sovereignty of God who controls all things including life and death? He/she can’t do that to me and get away with it. This isn’t fair—many situations are not, but who am I to judge fairness? I don’t want to look bad—this situation is humiliating; therefore, I may not be honest about it. I will not forgive those who have wronged me; I will be avenged. Praying for all my readers! Next “Great Are You, Lord ” Video-I needed this!